In comparing Square vs. Stripe payments, Square is best for retailers and multichannel sellers, while Stripe is best for online businesses. 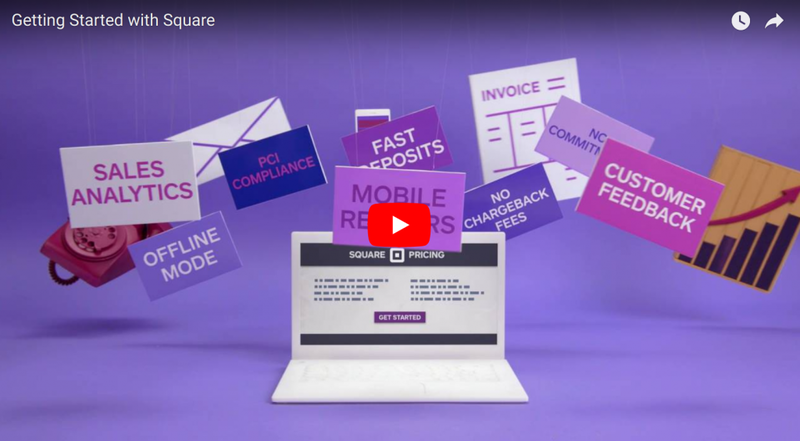 Square supports all types of payments, including in-store, online, mobile, and invoicing, plus offers free sales and business management software. Stripe services all types of online transactions, but no in-person sales like Square. To accept credit cards in-store, on a mobile device, online, via invoices, use Square. In the Square vs. Stripe showdown, only Square handles these various payments within one streamlined system. You also get complete sales, inventory and overall business management tools for free, and can add registers, manage payroll, market to customers, and open a free online store. Stripe offers none of these perks. Start a free account. Stripe is an industry leader in enterprise-level online and in-app payments. Developers use Stripe to create an array of customized payment checkouts for high-volume sellers, multi-seller platforms, subscription businesses, and more. For ecommerce or in-app sales, definitely check out Stripe. But comparing Square vs. Stripe for both online and offline payments and business management features, Square is the winner. Contact a sales rep today. Since Square accepts payments anywhere—in-store, mobile, online, and via invoicing—it’s the best overall solution for startups and growing businesses. Stripe’s powerful online payments platform serves online sellers very well, but not in-person or multichannel sellers. For example, a retail store using Square can easily expand online using Square’s free online store or by connecting Square to an ecommerce platform. Or, an online seller using Square can use Square’s mobile card readers to accept in-person payments at weekend fairs and markets. This seamless multichannel readiness isn’t available with Stripe. Stripe’s flexibility is firmly centered on online payments. High-volume ecommerce sellers, app-based services, and businesses needing customized online checkouts will value Stripe’s developer-level features. If you’re opening a multi-seller marketplace, developing app-based services, or creating a checkout that combines sales, subscriptions, and commission payouts, certainly consider Stripe. But for in-person selling, Stripe comes up short compared to Square. To help you determine which (Square vs. Stripe) is the better choice for you, we’ll take an in-depth look at the pricing, key features, ease of use, and even customer service considerations of each. The main cost of using Square is your credit card processing fees. There are no account startup or cancellation fees, nor do you pay monthly account fees to access Square’s payment processing services or basic POS system. Square does offer advanced tools that expand the basic POS features, and these optional add-ons come with monthly fees. You can learn about all of Square’s optional services and their costs in our guide to Square’s fees. Like Stripe, Square charges simple, flat-rate credit card processing fees. These fees are a small percentage of each sale plus, in some cases, a small per-transaction fee. However, unlike Stripe, Square supports a wider range of transaction types. So it charges three different rates, each based on the type of sale you’re processing. Stripe, being online sales-focused, has just one credit card processing rate. Square provides a free credit card reader for your smartphone or tablet when you open your free Square account. So for most sellers, credit card fees are the only cost of using Square. However, if you need a checkout register or more advanced credit card reader, you’ll need to purchase some hardware. Square offers several low-cost options and even has one with a payment plan, so you can add these capabilities without spending much upfront. Bottom line, Square offers a powerful mix of payment processing and business management tools in one low-cost system that Stripe’s online payment processing focus doesn’t match. Square processes all major credit cards, plus Apple Pay and Android Pay eWallet payments via all payment methods. For in-person store and mobile payments, Stripe provides you with a free magstripe card reader and free mobile POS software to complete sales on smartphones and tablets, email receipts, and track sales data. 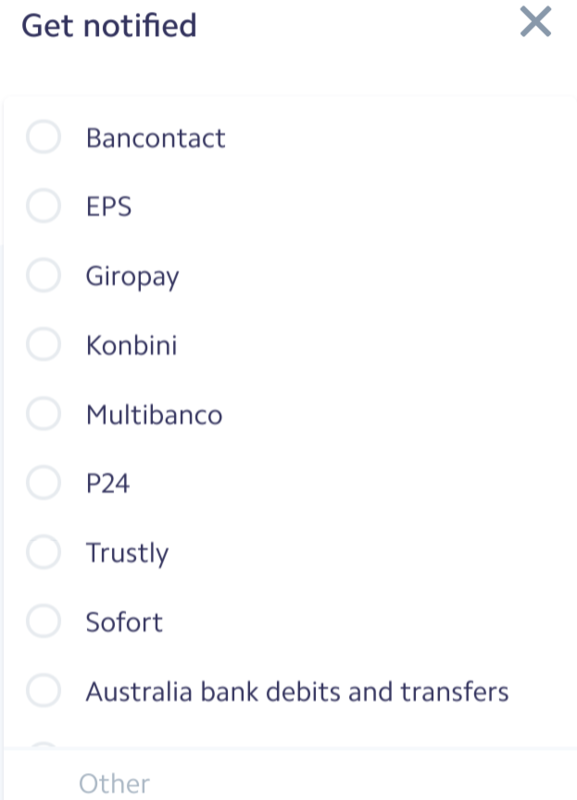 Stripe edged Square out in this category, since it also accepts ACH echeck payments and even some cryptocurrencies. With Square, you can accept credit card payments from international customers using internationally-issued Visa, MasterCard, American Express, Discover, JCB, or UnionPay cards. Unlike Stripe, Square doesn’t handle the currency conversions for you, so your international customers may see currency conversion charges from their card issuer. The Square vs. Stripe matchup is even when it comes to payment security, with both delivering fully PCI-compliant systems. The Square vs. Stripe comparison also runs head-to-head in terms of secure plug-and-play integrations with a large and growing number of top ecommerce platforms. Square also offers robust open API and developer tools that in many cases rival Stripe’s. One ecommerce feature that Square offers that Stripe does not is a free, built-in online store. With the click of a button, you can turn your existing Square product listings into an online store and expand your sales base overnight. 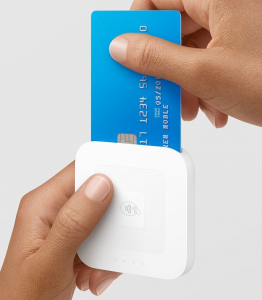 Square is the leader in mobile-enabled payments that let you physically accept credit cards using a card reader connected to your mobile phone or tablet. 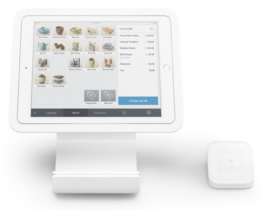 Square combines these readers with a powerful, cloud-based, mobile point-of-sale app that can drive your entire business. This in-person selling capability is what really sets Square ahead of Stripe for startups and multichannel sellers. A virtual terminal lets you key-in credit cards and quickly process payments for things like phone orders and invoice payments. You can even email or print a receipt for the payment. Square’s free built-in virtual terminal is accessible in both the online dashboard, shown below, and mobile POS app. Since you’re not physically swiping the credit card, Square’s keyed-in payments carry a higher processing fee than in-person and online methods: 3.5 percent plus 15¢ per transaction. 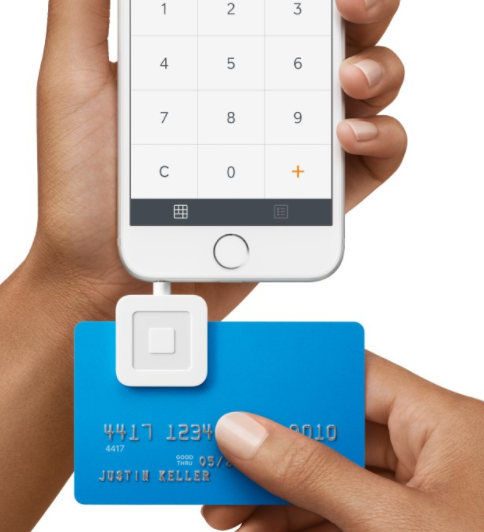 Source: Square offers users a free virtual terminal for keyed-in payments, unlike Stripe. In contrast, Stripe doesn’t provide a virtual terminal function and supports very limited keyed-in entry payments within its dashboard. Square’s free POS system is a leading small business management platform. With it, sellers can operate cash registers, record sales across multiple channels and stores, track inventory, manage employee schedules, track commissions, and collect customer contact information. You can even add fully integrated advanced features like marketing campaigns, loyalty programs, appointment scheduling, and complete payroll for low monthly fees. Square supports in-store and in-person mobile payments via tablet and smartphone, unlike Stripe. The POS feature alone can be the deciding factor in the Square vs. Stripe decision, since Stripe doesn’t offer any type of built-in POS capability. Square supports recurring payments for monthly fees, lessons, and repeat services like lawn care or maid services. Recurring payments are tied to Square’s POS online invoicing function. It works well, but for managing high-volume recurring payments, like for an online subscription service or subscription box sellers, Stripe is generally the better high-volume recurring payments solution. Square offers $250 of chargeback protection coverage per month. So, if one of your customers disputes a charge, you have some protection against the loss. To be eligible for protection, you need to respond to the payment dispute within Square’s seven-day window and show that you followed Square’s recommended fraud prevention best practices. Stripe does offer very good fraud prevention tools, but no protection insurance if you lose a dispute. Another plus when it comes to chargebacks is that Square doesn’t have a chargeback fee. In contrast, Stripe charges a $15 fee when a customer disputes a charge. Stripe refunds this if you win the dispute, but if you lose, you’re out the sale amount plus $15. With Square, if you lose, you’re just out the sale amount, and if the transaction is eligible, your loss is covered through Square’s chargeback protection. Create a free Square account. Like Square, payment processing fees are your main costs to using Stripe. There are no account startup or cancellation fees, nor are there any monthly account fees. Like Square, Stripe is a flat-rate payment processor, but unlike Square, Stripe has just one credit card processing rate. This is because they focus on one type of transaction—online payments. However, Stripe does handle more types of online payments than Square. Along with credit cards, you can accept direct bank transfers online (usually called ACH and echeck payments). Stripe also supports some newer forms of global online payments, such as AliPay and WeChatPay, and is working on various cryptocurrencies and other types of payments. If accepting cutting-edge online and global payments is your goal, Stripe is a top solution. Clearly, Stripe’s ACH/echeck online payment method offers real cost savings over credit card processing fees. Of course, not every online customer is comfortable entering their personal bank account information online. But if you do have customers, such as B2B buyers, who are comfortable with ACH methods, this can be a real advantage. Stripe provides an array of online payment processing tools, but unlike Square, offers nothing by way of in-person point-of-sale software, mobile card processors, or checkout register hardware. If you want to use Stripe for any type of in-person sales, you’ll have to find third-party providers that connect with Stripe, and these all come with added costs. Also, even though Stripe is a solid online payment processor, it doesn’t offer its own free ecommerce platform. Again, unlike Square, which provides a free, built-in online store feature. To use Stripe to accept payments for online orders, you’ll need an ecommerce platform, which adds costs to your overall use of Stripe. Stripe’s most impressive feature is highly customizable developer-level payment tools. Since these are far above what most startups and small sellers need for day-to-day business, we’re not going to focus on those benefits. If you need a highly customized online payments solution for things like in-app payments or a multi-seller marketplace, then you can learn more about Stripe’s developer toolset here. Instead, we’ll focus on how well Stripe delivers the features that most small sellers need to accept payments and manage sales, and how those compare to Square. Stripe supports a full range of international payments. Stripe is an online payments powerhouse and does beat Square when it comes to accepting the widest variety of online payments both in the U.S. and globally. Stripe handles real-time currency conversions on your website! This means that international buyers can see the actual cost of items in their currency and purchase them without having conversion charges attached to the charge. You then receive the correct amount in your currency. This is a very big deal if you sell internationally, and is a feature that Square doesn’t offer. Visit Stripe’s supported currencies overview to learn how this feature works and to see the full list of currencies accepted. The Square vs. Stripe comparison is even in terms of having secure hosted checkout, which removes much of the PCI-compliance burden for users. For customized online payment solutions, Stripe offers developers a complete security guide to ensure PCI compliance across all integrations. 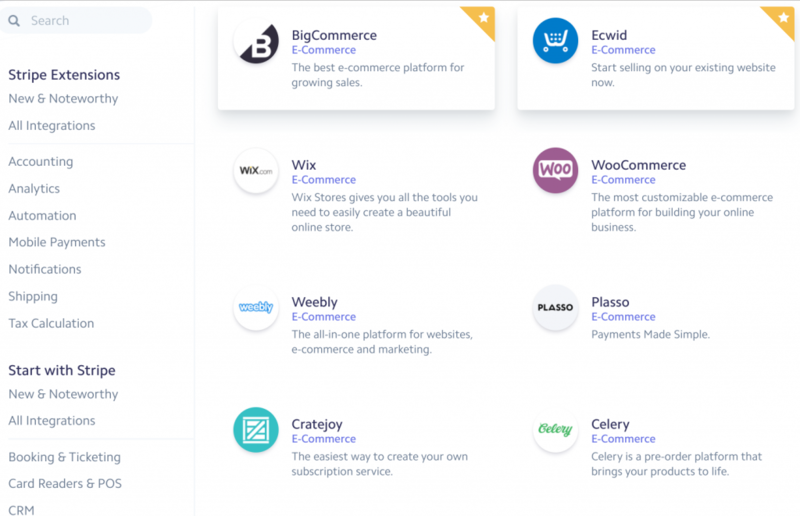 Stripe connects to virtually any type of online sales platform, including ecommerce solutions and in-app payments, subscription sites, and multi-seller marketplaces. All top-rated ecommerce platforms also have secure plug-and-play integrations with Stripe. And, of course, developers have access to Stripe’s robust developer tools to customize payment integration, checkout flows, and cart templates. The Square vs. Stripe match-up is pretty even across plug-and-play ecommerce integrations, but for customized online and in-app payments, Stripe definitely has an edge over Square. Stripe doesn’t match Square for in-person credit card processing, and this includes mobile payments. Unlike Square, Stripe doesn’t provide mobile credit card readers or mobile point-of-sale software for your smartphone or tablet. If you’re primarily an online seller using Stripe and want to add in-person mobile payments, you need a third-party mobile payments system that works with Stripe. This all adds costs and is far from the seamless, all-in-one solution that Square provides. For limited mobile selling needs this can work, but if in-person sales are a primary function of your business, Square is the better option over Stripe. Stripe doesn’t have a virtual terminal feature and supports very limited keyed-in entry payments within its dashboard. Stripe users get around this by entering phoned-in payments via their websites or by using one of the many Stripe-integrated third-party invoicing solutions. 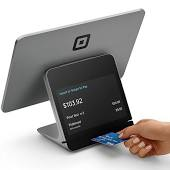 Again, Square’s streamlined, all-in-one solution beats Stripe in this aspect since it includes a built-in virtual terminal and invoicing features in its free point-of-sale system. 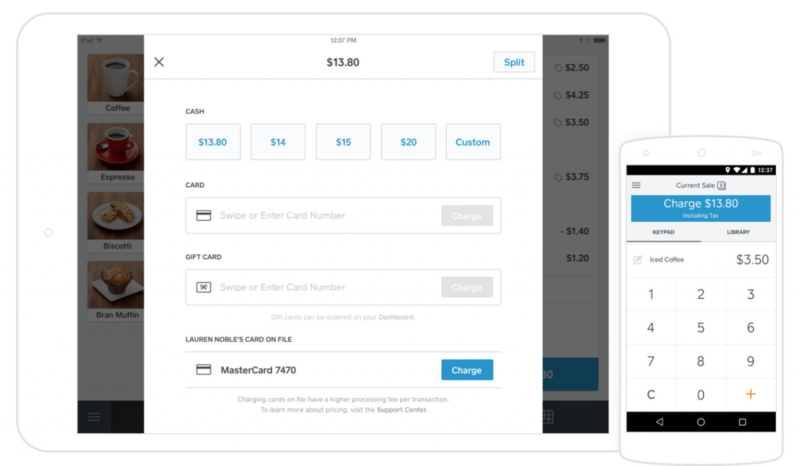 Unlike Square, Stripe doesn’t offer any type of built-in POS capability. Here again, you’ll need to cobble together a solution using a third-party POS provider, with added costs and setup. If you need in-person sales features for in-store and/or mobile sales, plus business management to help you run your entire operation, Square’s free POS is hard for Stripe to beat. Recurring, automated, and subscription payments is an area where Stripe really outshines Square, especially for high-volume needs. Stripe has a specific product called Stripe Subscriptions that helps you design and manage recurring payments for any type of subscription business you can dream up. Educational sites, subscription box sellers, ticket sellers, free trials, auto-renewals—if you can dream it up, you can make it happen with Stripe. Stripe supports automated online recurring payments for subscription-type businesses, unlike Square. Now, Square does support recurring payments, but the process is tied to Square’s invoicing function. It’s not ideal for high-volume, automated, recurring, free trial, and renewal payments—compared to Stripe Subscriptions, which handles it all. Stripe operates like other payment processors when it comes to disputes and chargebacks. It charges a $15 chargeback fee if a dispute is filed, and refunds that fee if the dispute is decided in your favor. But if you lose, you’re out the sale amount plus $15. Unlike Square, Stripe offers no protection coverage if you lose a dispute. Stripe does, however, provide its sellers with a top-rated fraud protection tool called Radar. It uses machine learning to help you identify high-risk sales and gives sellers tools to flag risky transactions before clearing or block high-risk sales altogether. Though Stripe doesn’t match Square’s $250 per month chargeback protection, Radar helps minimize your chances of becoming a victim of online fraud. Both Square and Stripe tick the “easy to use” boxes for their respective services. Both have a quick and easy online sign-up and, once complete, both give you instant access to credit card processing tools. Both also have very intuitive setup processes that walk you through every step, whatever it is you need to do. Square provides a load of functionality from the minute you sign up for your free Square account. Whether your first task is to set up your free POS software for in-store sales or to connect Square to an ecommerce platform, Square makes it easy with its Getting Started Guide plus its step-by-step tutorials for handling any business selling need you can dream up. Square is widely considered one of the easiest omnichannel payments systems on the market. Like Square, Stripe gives you instant access to its wide array of credit card processing tools the minute you sign up for your Stripe account. Unlike Square, which lets you accept credit cards using a number of online and offline means, to accept payments with Stripe, you’ll need to connect it to an online sales platform, like an online store. This is how Stripe is used by the majority of its small business users. Stripe provides plug-and-play integrations to a huge number of ecommerce platforms. Below is just a sampling, and in most cases, your online setup takes just minutes. Stripe, like Square, offers a huge number of plug-and-play online store integrations. But, you do need to have your online store set up to accept orders and payments online using Stripe. Plus, if you want to use Stripe for in-person payments, you’ll have to add third-party providers, which requires additional setup. Overall, Stripe is incredibly simple to set up and use for what it’s intended for, and that’s online payments. But to add functionality that competes with Square’s in-person payments and business management features, Stripe’s overall ease-of-use falls sharply since you have to wade through multiple third-party solutions to make it all work. Of the two, only Square offers phone customer support, but only to registered users. Stripe’s customer service is accessible only via an online form, email, and group chat. Both Square and Stripe have excellent online knowledge bases and tutorials. 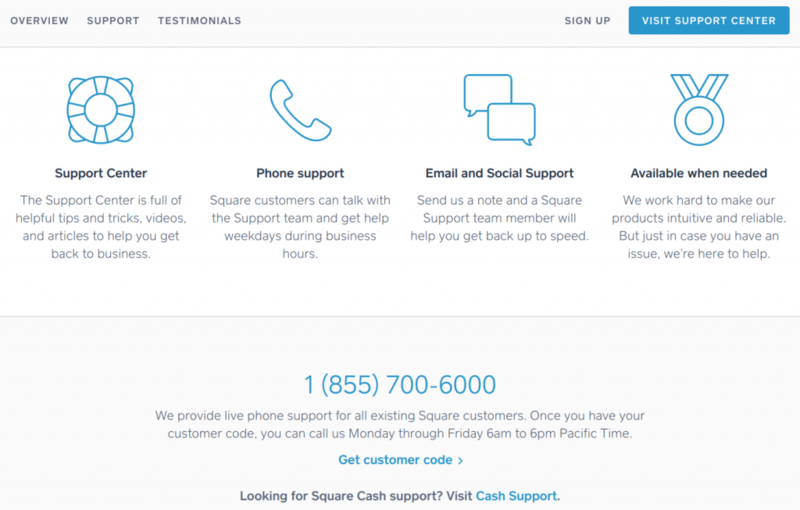 Square offers phone support to account holders. If you want to actually speak to someone to learn more about it, simply sign up for a free Square account and you’ll be able to call in using a phone access code before you ever process a charge. Phone support is available Monday through Friday, from 6 a.m. to 6 p.m. PST. Square offers an array of customer service contact methods—including a phone number, unlike Stripe. Beyond that, support is available 24/7 via email, and also is very responsive via social media at @SqSupport and on Square’s Facebook page. And don’t forget Square’s excellent, quick access knowledge base with step-by-step tutorials that cover everything you need to know about using Square’s many features. Stripe doesn’t offer any phone support, but there is a Freenode (#stripe) chat community that includes both Stripe tech pros and users, where you can usually get instant advice. The most effective way for account holders to reach Stripe is via email. You can also follow them on social media, but it’s not a primary means of support. Since Stripe’s real focus is the developer-level crowd, Stripe’s online developer documentation is excellent, if you happen to speak tech. Small businesses looking to accept credit cards often compare Square vs. Stripe to see which provides the best set of payment processing features. The Square vs. Stripe question can be easily answered, depending on your operation. Square’s focus is on the multichannel seller while Stripe targets online sellers. If you sell both in-person and online, use Square. 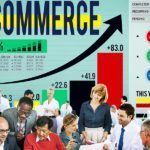 If ecommerce is your focus, either will do the job for most small businesses. Square is our overall pick for small and growing businesses that have a range of selling needs. With Square, you get far more than just payment processing services. 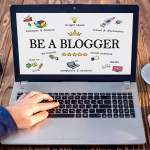 You get an amazing suite of business management tools for free, plus plenty of ways to expand the basic capabilities for ultra-low monthly fees. Start a free Square account. Stripe is a low-cost, easy-to-implement online credit card processing option for small ecommerce sellers. But the developer-level tools that are Stripe’s real strength are far above most small sellers’ day-to-day needs. Plus, multichannel sellers looking to process orders both in-person and online will find Stripe doesn’t offer the streamlined, multi-payments solution that Square delivers. Do you use Square, Stripe, or another online or multichannel payments solution? We’d love to hear what works best for your business and how you settled on your solution in the comments below. You bet! Which did you go with Square, Stripe, or another option?